About the game Attack Of The Stuffed Animals. This game is a shooter where you must fight viscous stuffed animals. You are a young kid in the middle of a nightmare. 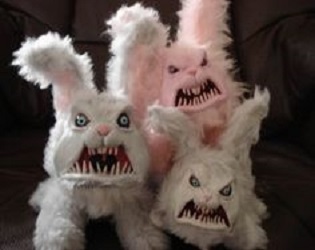 In your nightmare these stuffed animals come alive and start trying to kill you. Your mission is to eliminate all stuffed animals before they eliminate you.